Hello subscribers. Here is your complimentary single-user activity. Please encourage others to subscribe so they can get free resources too. Science, Technology, Engineering, and Math. That spells S.T.E.M. 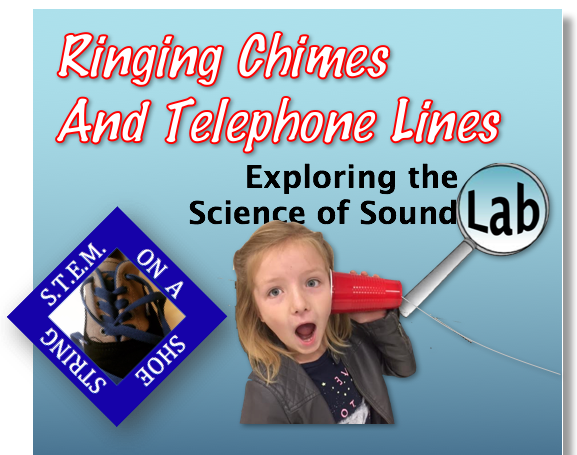 and that spells fun and learning for your students in this inexpensive and engaging exploration into the science of sound. And since you are probably on summer break, I've chosen to share an activity that your own children will enjoy as well. In fact, you get two activities in one handout! I used this lesson with second graders and 8th graders with equal success. The best part is that it only costs pennies per student! That's "S.T.E.M. on a Shoestring" at its best!